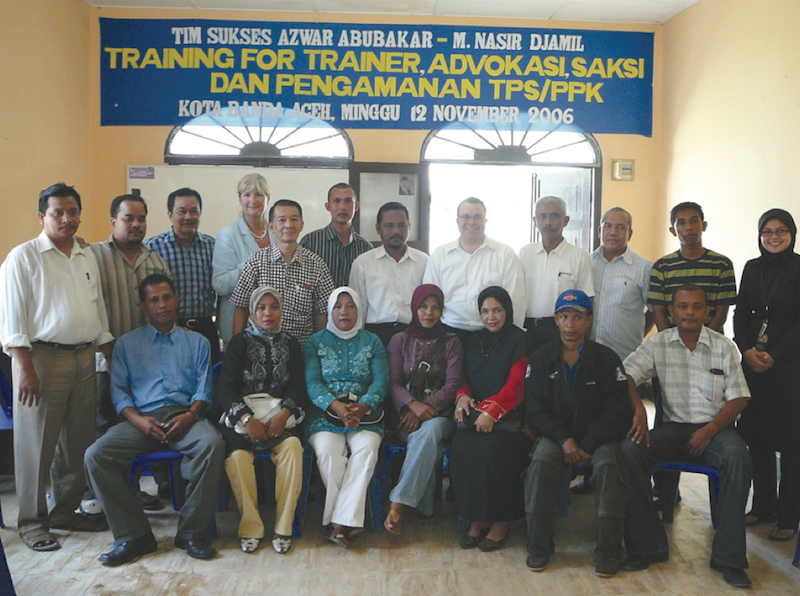 An IEMI team of former legislators traveled to Aceh, Indonesia’s second poorest province, less than two years after the deadly tsunami had devastated the region. The mission consisted of helping a dozen political parties (established or emerging, local or national) improve their organizational skills in order to become competitive in the next election. Over four days of sessions, the team covered such themes as organization, political identity, and positioning and solidification of a political party in a well-defined context. The goal of the training sessions was to help the representatives of each party in their efforts to better plan the organization of the next election. By sharing their experiences, the IEMI team was able to assist in the parties’ quest for short-term and long-term goals, as well as in identifying their strengths, weaknesses and opportunities.